No foodie trip to Spain would be complete without the iconic dish paella. And there’s absolutely no question the best paella is always homemade paella. 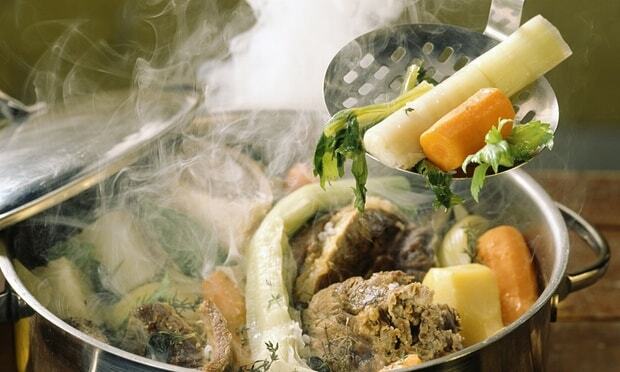 It takes a very long time to cook, so it’s difficult for restaurants to make fresh. 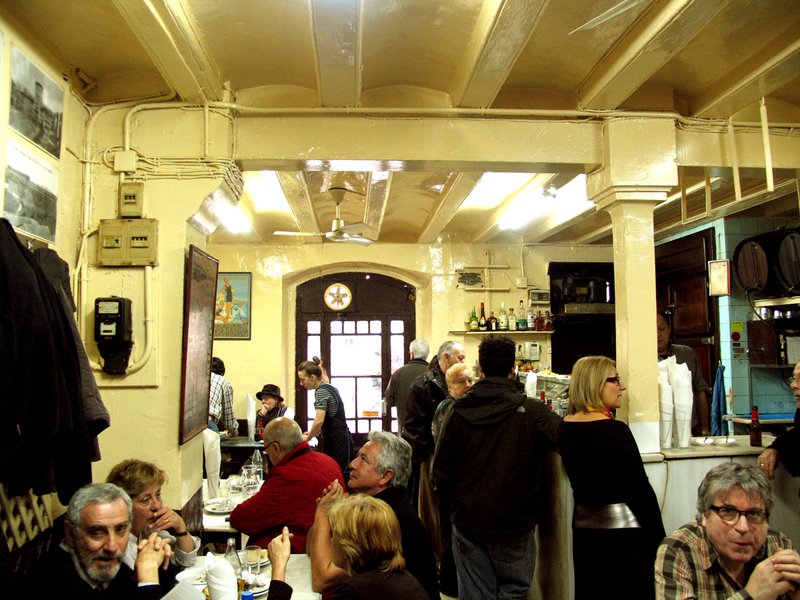 Only 5 minutes walk from Gaudí’s iconic landmark Park Güell, talented home-chefs Bego and Iván offers Barcelona’s best paella in town using a traditional recipe from Alacant. 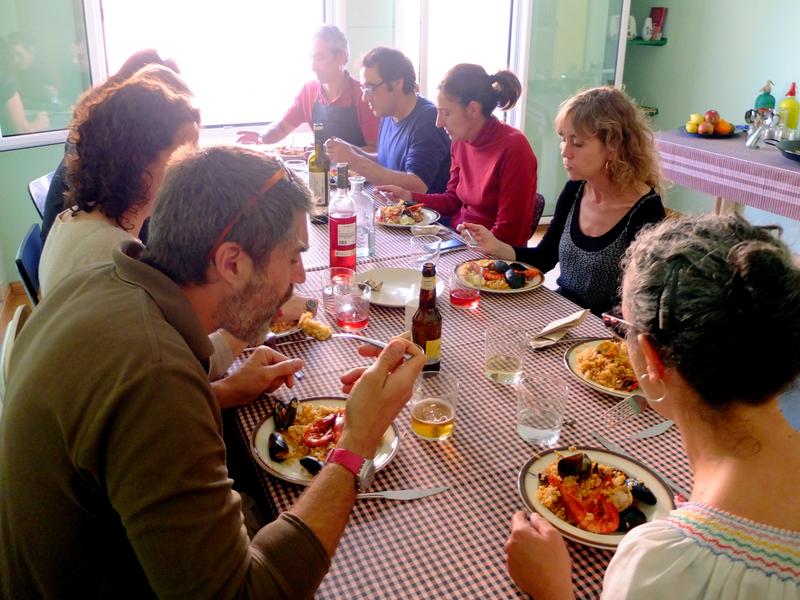 You can watch their whole cooking process while you enjoy an ecological white wine, from El Pla de Manlleu or rosé wine from Penedès A.O., a region famous for its excellent wines and cavas. 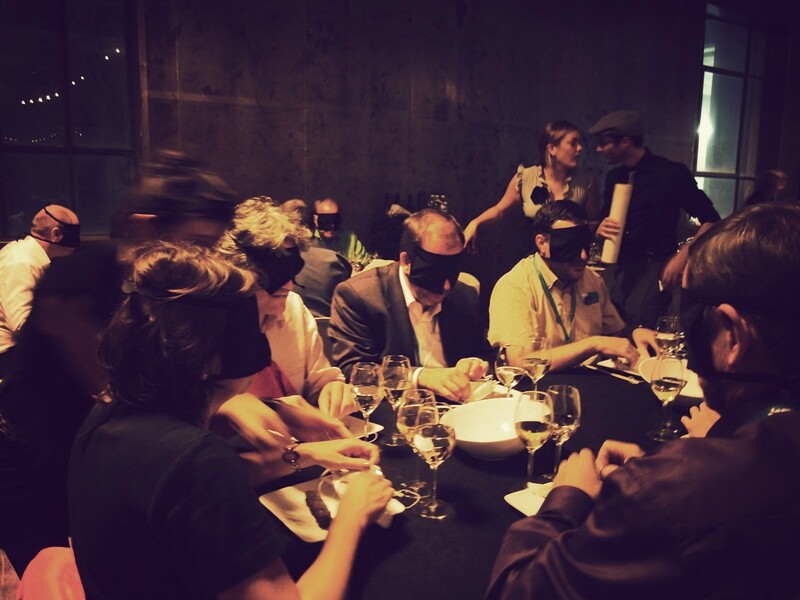 If you are in search for innovative dining experience, why not dine in complete darkness? Enjoy a gastronomical experience in the dark at Dans Le Noir where you will find yourself fumbling for your wine glass and trying to scoop up the food on your plate. The fun part of this is guessing what you’ are eating and getting to know your fellow diners in a pitch-black room. 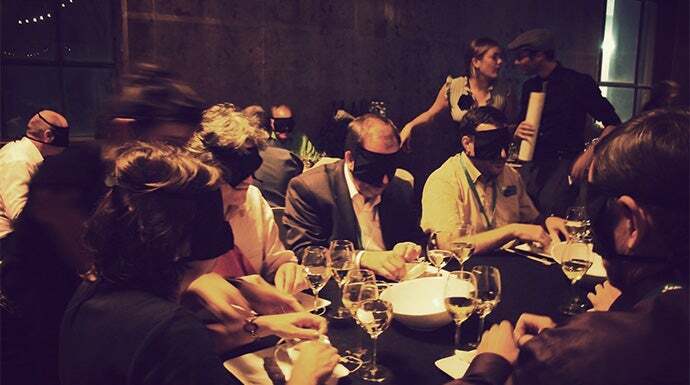 Considerably one of the most unusual dining experiences in Barcelona, Dans Le Noir deserves a status above novelty. It is an intriguing way for you to invigorate your sense and also appreciate the gift of sight. Established on the lively shore of El Somorrostro, Icebarcelona is an unusual beach bar with an impressive interior made entirely from ice. Marval at the grandiose ice sculptures while you sip on delicious cocktails with your friends from glasses made of…ice. The bar’s interior design changes with each season, making Icebarcelona a refreshing experience every time. Remember to take lots of photos to capture these memorable frosty moments as the average entry to the bar usually lasts no more than 30 minutes! If you prefer to lounge under the Barcelonan Sun while munching on savoury nachos, you can relax on the terrace on the 2nd floor that overlooks the coastal sands and cerulean waters. 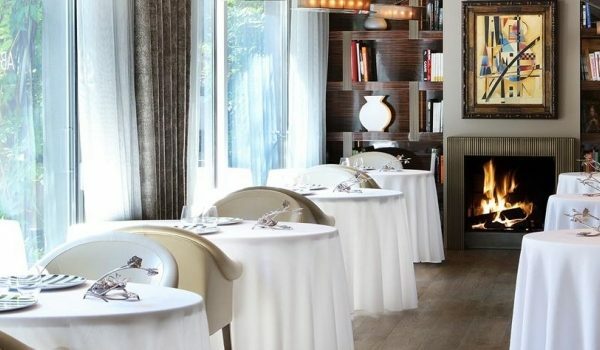 Celebrated 2-Michelin-starred restaurant ABaC is helmed by the amazing Chef Jordi Cruz who is the youngest Spanish chef to have earned his first Michelin star at 24. This exclusive 56-seater elegant restaurant boasts an impressive 16-course menu that blends creativity and tradition seamlessly. Indulge in delicacies such asIberian meats, almonds with beans and “compango” bubbles and Foie gras taco with mole migas and sweet corn ice cream while you handpick your favourite wine from an extensive cellar. Also, the ABaC team is well-known for providing impeccable service. Other than the attentive servers, their thoughtful chefs would gladly customize your meal should you have any food allergies or intolerances. Although pricier than most restaurants found in the vicinity, give yourself a splurge to gain a once-in-a-lifetime gastronomical experience. If you are here in Barcelona for a special occasion, why not book a unique home dining experience with one of BonAppetour’s lovely hosts, Teresa? A professionally trained chef, Teresa easily whips up delicious Spanish fare but never forgets her motto in cooking that has been instilled in her since her childhood: love, time and quality produce. Step into her cozy home and savour an authentic meal that comprises of Coca Bread, Seafood Paella and of course, homemade Sangria. Cook like a local, dine like a local and live like a local- get a taste of home away from home and perhaps learn a recipe or two! One of most common things that will happen when you are travelling is that you end up in a ridiculously expensive restaurant after being ushered in by an overly enthusiastic waiter. Experienced travelers will tell you to avoid such tourist traps with menus that are in more than 3 languages and with blatant picture displays. 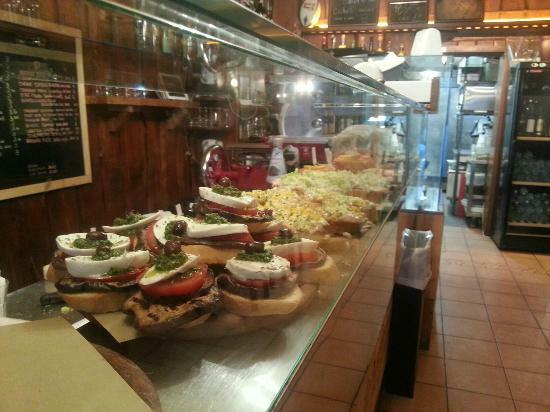 But where do you find best non touristy places to eat like a true Venice local? 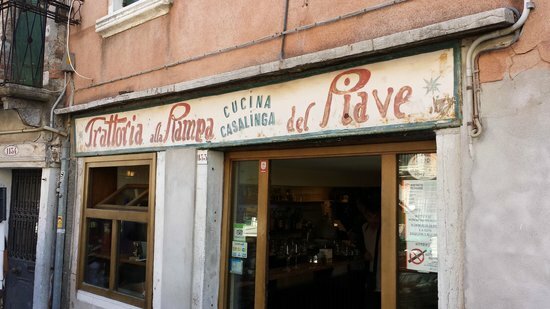 While some of the Venetian restaurants might have accumulated a bad reputation for themselves as having exorbitant prices, we want to introduce to you some of the places where locals eat to get a taste of good, authentic local food without burning a hole in your pocket (or falling into a tourist trap!). 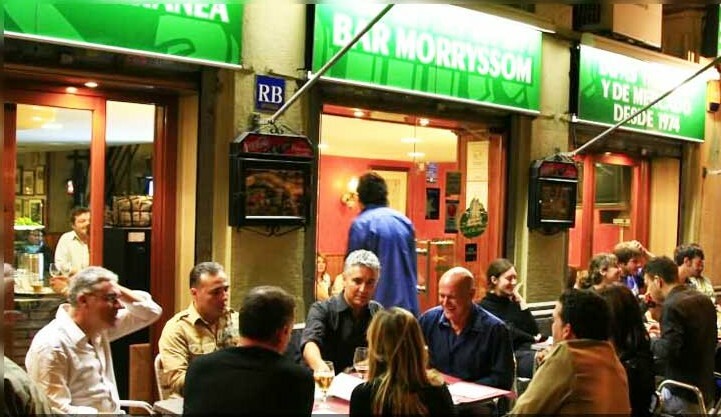 Located in a working-class neighbourhood, Trattoria Alla Rampa is a popular lunch spot for the residents who live in this neighborhood. Their wallet-friendly “worker’s menu”, which consists of pasta, main course, wine and coffee, is excellent value for €13. And it probably explains why they are always packed with locals for lunch. At 1pm, the menu switches to offering home-styled Venetian dishes. Dishes can include veal scaloppini (similar to a veal cutlet), risi e bisi (Venetian rice and peas) and squid ink pasta. Pasta costs €10 and main dishes around €14. The reviews on his page to book speak for themselves and you cannot get more local than enjoy a freshly cooked fish in a Venetian’s own home. Venice’s widely popular home-chef and seaman Massimo offers the freshest seafood cuisine and guarantees a taste of the 7 seas with his meal in an ancient home in central Venice. Feel free to check him out here. When you are in venice, you definitely need to try out their cichetti, which are small snacks or side dishes typically served in bacari or also know as cichetti bars in Venice. Osteria Al Portego has a wide selection of cichetti such as fried stuffed zucchini flowers and bread with baccalà (dried salted cod). If you are in for a drink, join them for their happy hour and choose from their large selection of wines. Given its appearance, this restaurant might not attract your attention but it sure did catch the eyes of editors at Jamie Oliver’s travel magazine. This intimate, cozy restaurant does not have an a la carte menu but instead offer dishes that change daily, depending on what ingredients are available. If you are up for good seafood and would happily go where locals would go, then you are at the right place. 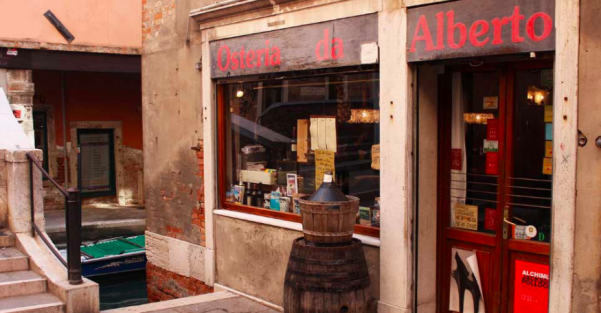 Located between Campo San Giovanni e Paolo and the Santa Maria dei Miracoli, Osteria da Alberto is a local’s favourite, especially around lunchtime. 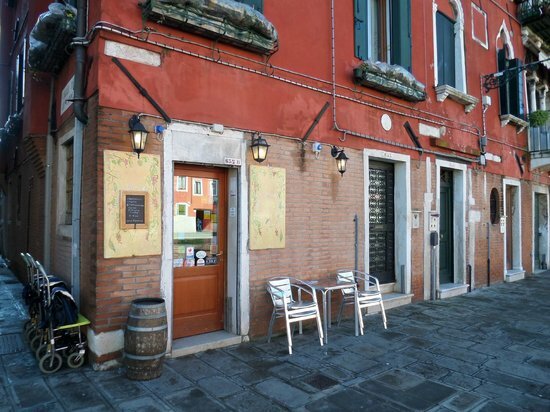 They serve authentic and classic Venetian cuisines such as risotto and spaghetti with squid ink. Their daily specials menu is ever changing based on the season and what the chef can find in the local seafood market, so you can be sure that everything is fresh. Go in, grab a table and let them surprise you. Many of us love to sample new foods during our travels. In the midst of all that indulgence, it is all too easy to forget food safety and the risk of contracting foodborne illnesses, which can ruin our holidays by sending us on seemingly endless trips to the restroom. 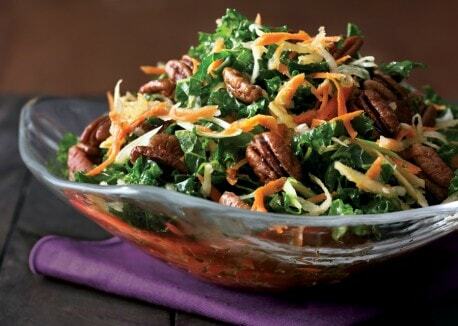 But foodborne illnesses are preventable if we exercise care and caution with the food we eat. Here are some tips for a safe and indulgent adventure abroad! 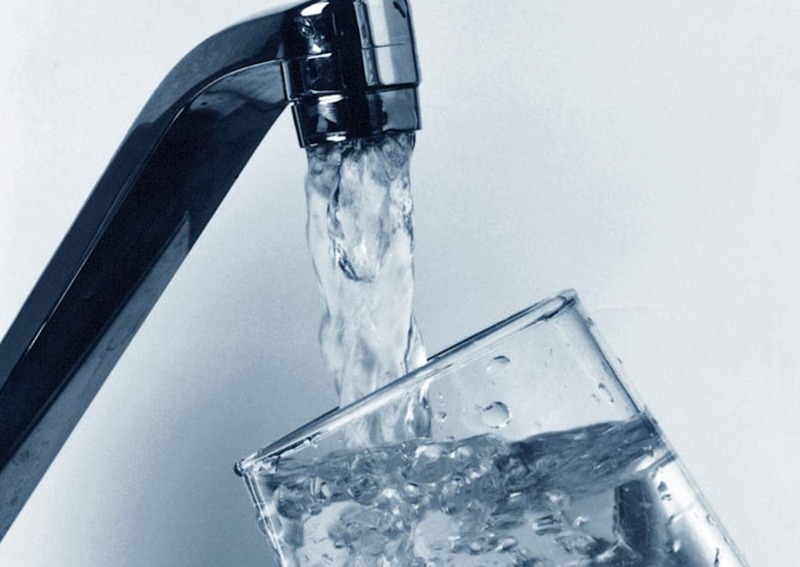 Depending on the country you visit, tap water may not be safe for consumption as it may be contaminated by viruses and bacteria that can cause diseases. Water that has been contaminated can make you ill, even if consumed in small amounts. Stick to bottled water where possible and drink only beverages that are served piping hot, such as coffee or tea. Avoid having ice cubes in your beverages as it is likely that they were made from tap water. Again, this is largely dependent on the country that you visit. 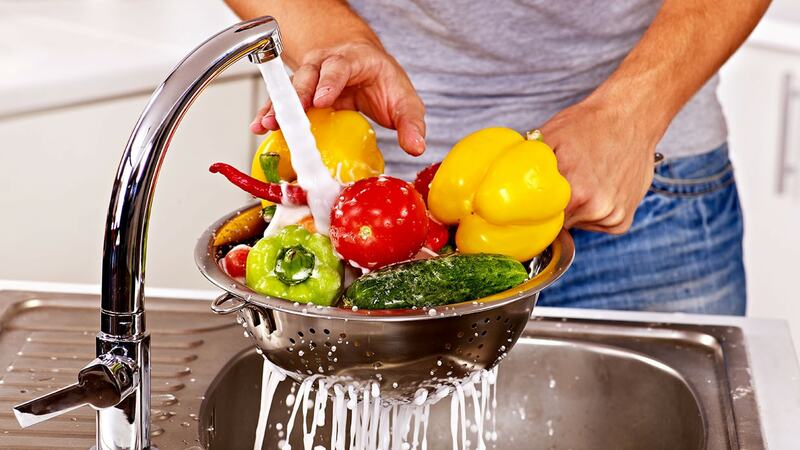 For countries where tap water is not safe for consumption, raw foods which include salads and undercooked vegetables should be avoided as it is likely that tap water had been used to wash the vegetables. Other raw foods that should be avoided are raw or undercooked meat, seafood and eggs as well as unpasteurised dairy products, whether it is milk or cheese. If you are visiting a country where foodborne illnesses are prevalent, you should be eating foods that are served piping hot when dining out. This is because high temperatures will destroy the germs and bacteria that can make you ill, such that the cooked food you eat is safe for consumption. You should also take extra care when ordering street food – only order from a vendor where food is prepared on the spot, not to mention in a hygienic manner. You can still enjoy the goodness of fruits when you travel – stick to fruits that can be peeled and do not require washing before consumption. 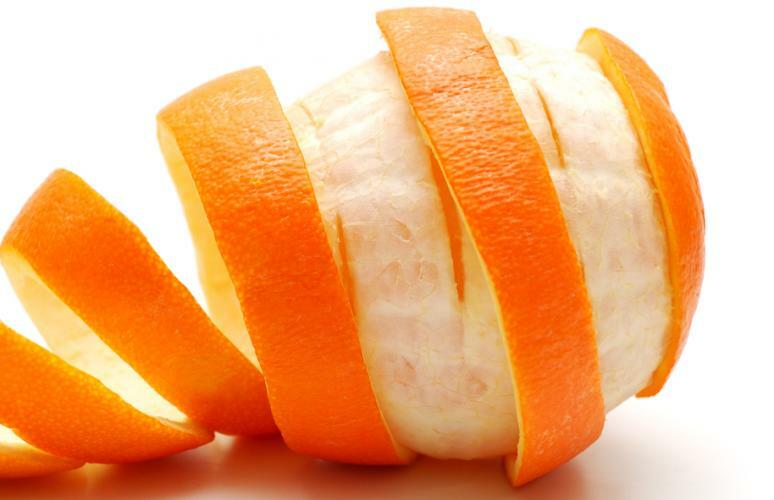 Germs are highly unlikely to get into fruits that can be peeled. Such fruits include oranges, bananas, mangoes, kiwis and melons. If you insist on washing your fruits before eating them, use bottled water to do so. This may sound counter-intuitive but when in doubt, dine at eateries that are packed with patrons, especially in countries where foodborne illnesses are prevalent. 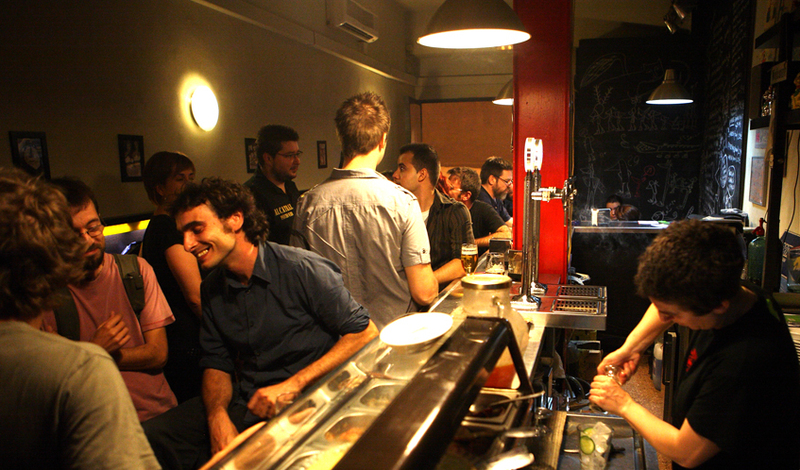 Eateries that are crowded are less likely to serve foods that will make you ill or they would not even be frequented by patrons. 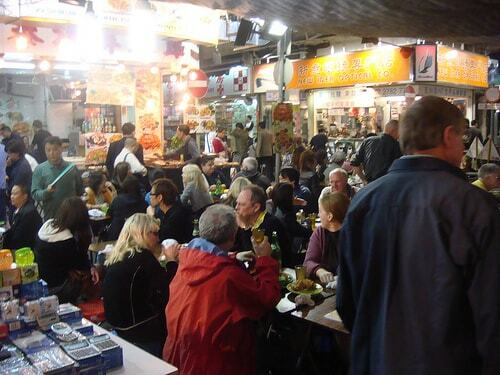 If you are looking to have street food, head to vendors with plenty of customers – it is unlikely that food served by popular vendors have been sitting for many hours around though it is always good to check.